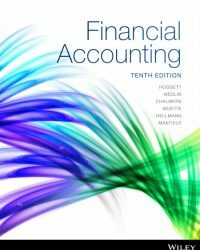 The tenth edition of Hoggett’s Financial Accounting is a must-have for students who want to succeed in their unit and leave with a rich foundation of knowledge for their future study and career in the area of Accounting. With over 40 years’ experience lead author John Hoggett alongside a team of experienced writers and subject-experts have designed a resource that is ideal for student’s seeking a complete practical guide to Financial Accounting. The new edition leverages off the previous successes of the series and offers students an introductory but comprehensive description of the purpose, practice and process of contemporary international financial accounting in an Australian context. With the increased emphasis on the globalisation of business the material is ideal for the study of introductory accounting in a broad international context. Now available as a full colour printed textbook with an interactive e-text code included, it builds on the strengths of previous editions with a strong focus on the decision-making role of accounting, as well as on a student’s acquisition of generic skills such as communication, analytical, problem solving, critical thinking and judgement skills. The technical skills required in the application of accounting concepts remain a core objective of the new edition. Hear from Practitioners: Exclusive videos from practitioners at PwC provide insights into the real-world application of accounting.